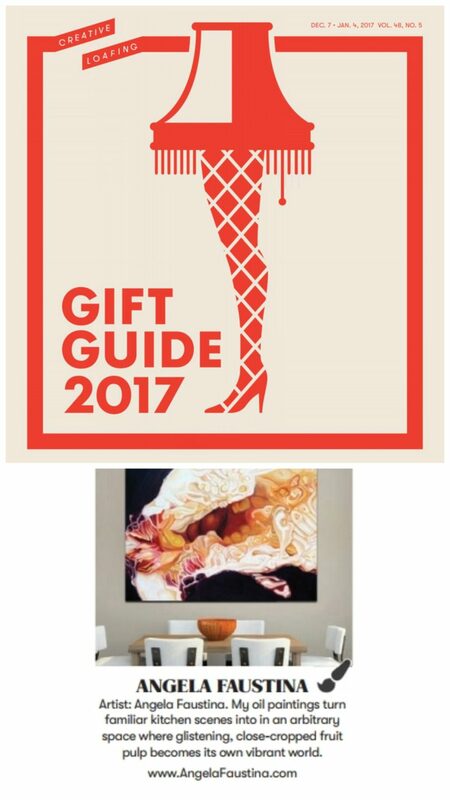 I am thrilled the newspaper is supporting local artists & encouraging people to gift artwork for the holidays. The is relatively small but I’m honored to be featured with artists like BlackCatTips. The oil painting featured here is Black Mission Fig & is available in town through gallery43.